Subtly dated with a roman numeral 2017 above the door. This year we bring the annual crypt as a mid-year gift set. 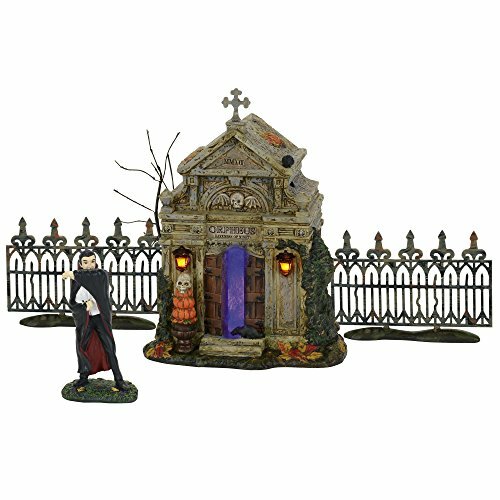 The set of 4 includes 2 wrought iron fence sections, and coordinating vampire figure. The crypt is lit with outstanding lighting that includes bright colored interior lighting that changes from purple to orange and back to purple, plus lit LED lanterns flank each side of the front door. Bare branch tree is attached to the back corner.